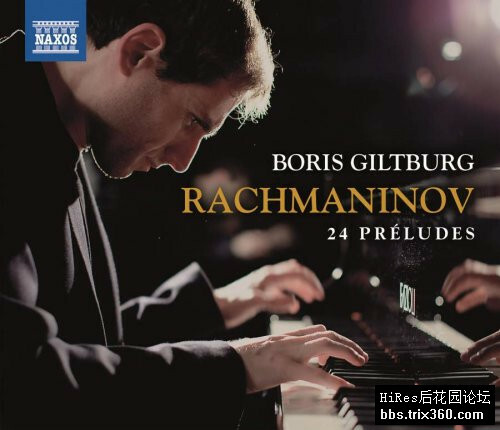 Boris Giltburg’s Rachmaninov recordings for Naxos have received numerous praises and awards. Recently he won Best Soloist Recording (20th/21st century) at the inaugural Opus Klassik Awards for his recording of Rachmaninov’s Second Piano Concerto coupled with the Études-tableaux, Op. 33 (8.573629). In May 2018 Naxos released his recording of the Third Piano Concerto and Corelli Variations has already garnered spectacular reviews including a Gramophone Choice award. His recording of the Études-tableaux, Op. 39 and Moments musicaux was a Gramophone ‘Recording of the Month’ (June 2016). In January 2019 Naxos released Boris’ recording of Liszt’s Transcendental Etudes (8.573981), which was praised by The Sunday Times (London) as ‘a Liszt disc of the most compelling brilliance.’ Written over a period of 18 years, Rachmaninov’s sets of Préludes are a mirror and a record of his compositional development. With so rich a variety of character, colour, texture and mood, no two préludes are fully alike. Whether evoking ballad or bell toll, the exotic or folk influences, the Préludes stand in the great tradition of works by Bach and Chopin written in all 24 major and minor keys.